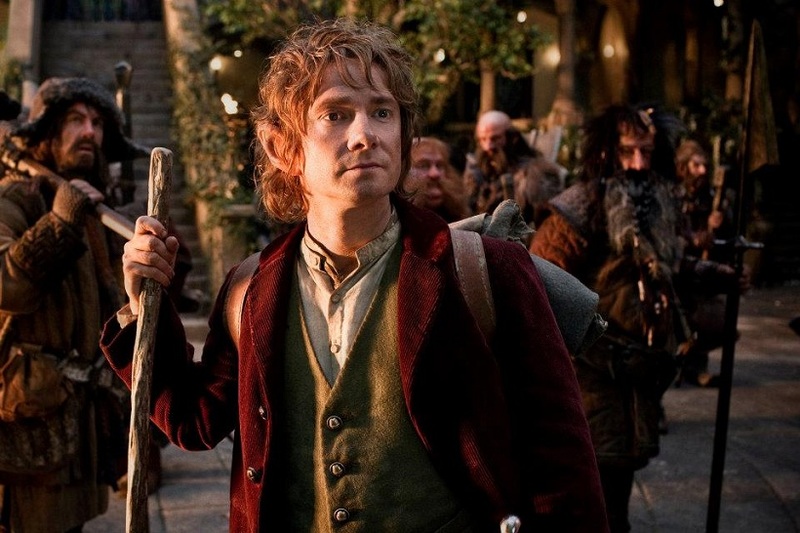 In Case You Missed It: The Hobbit Trailer! It’s likely that most of you saw this particular bit of awesomeness yesterday, but for those who somehow haven’t – the trailer for the first installment of Peter Jackson’s long-awaited adaptation of J.R.R. Tolkien’s The Hobbit was released this week, and features a star-studded cast full of great British performers. The Hobbit: An Unexpected Journey opens December 14, 2012, and stars Sherlock’s Martin Freeman as Bilbo Baggins, alongside several members of the original Lord of the Rings trilogy cast including Sir Ian McKellen, Hugo Weaving, Cate Blanchett, Christopher Lee, Ian Holm, and Elijah Wood. They’ll be joined by a ton of new faces – most of them British – such as Stephen Fry, MI-5/Robin Hood’s Richard Armitage, Being Human’s Aidan Turner, Jekyll's James Nesbitt, Sylvester McCoy, Sherlock's Benedict Cumberbatch (eventually), Luke Evans, and more. Click through to watch the trailer for yourself - it's really quite glorious, especially if you're a fan, and I've loved Tolkien since I was a kid. The Hobbit trailer is running in theaters before The Adventures of Tintin, so if you’re heading to the cinema this holiday weekend, you can see it on the big screen. In short, this film already looks amazing, even a year away from its release. Very excited to see the final product!